In the case of Murray v. American LaFrance, 2018 Pa. Super. 267 (Pa. Super. Sept. 25, 2018), the Pennsylvania Superior Court addressed issues of personal jurisdiction over a foreign corporation. According to the Opinion, the foreign corporation Defendant had registered in Pennsylvania as a foreign corporation under 42 Pa. C.S.A. §5301(a)(2). Although the foreign corporation had registered to do business in Pennsylvania, it had a principal place of business in another state and no corporate offices in Pennsylvania. 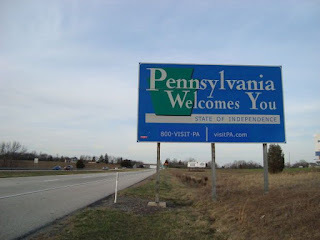 It was additionally noted that the foreign corporation did not own or lease any real property in Pennsylvania, had no bank accounts in Pennsylvania, and did not design or manufacture any of its products in Pennsylvania. However, the court ruled that the fact that the foreign corporation had registered to do business in Pennsylvania under 42 Pa. C.S.A. §5301(a)(2) amounted to a consent by that foreign corporation to personal jurisdiction within the Commonwealth of Pennsylvania. As such, the Superior Court vacated the lower court’s Order sustaining the foreign corporation’s Preliminary Objections to the Complaint. Anyone wishing to review a copy of the Majority Opinion in this case may click this LINK. Judge Bowes' Dissenting Opinion can be viewed HERE. 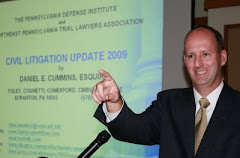 Source “Court Summaries” by Timothy L. Clawges in the Pennsylvania Bar News (Oct. 22, 2018).